Looking to purchase soccer accessories at some of the best prices online? Then you’ve come to the right place. We’ve got great discounts on soccer head bands, wrist bands and whatever else you need. Whether you like to stand out with bright, eye-catching colors or you’re just looking for a way to keep the hair and sweat out of your eyes so you can focus on the game, you can find it here. 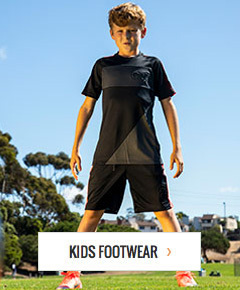 Choose from a variety of styles from big brands like Nike, adidas and Puma. With discount prices, fast, flat-rate shipping and our no-hassle return policy, we’re sure you’re going to be happy when you shop at soccerloco. Shop today and get the gear you need to play your best!